Saw this on the web somewhere. Is this possible in PCS? Every time I attempt something like this I end up with a torn mess. Well now I know....the dahlia type must be a hand cut card. Thanks @Crazy_Mr_Zing. 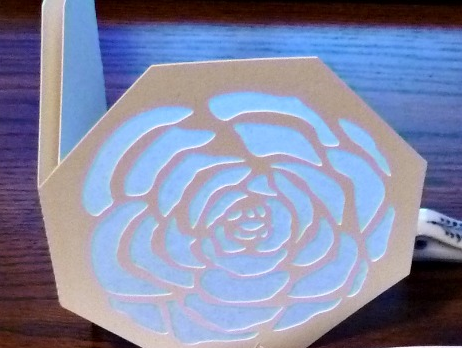 I think it might even be 2 separate cut outs since the inner petals appear larger in the 3d flower. 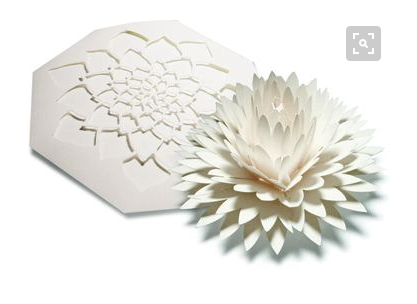 I agree with Paul, The 3d one seems to be totally cut out petals that are glued back upright. Flowers are so in right now. I guess it is a spring thing. Ingenious - like a sliceform. to be able to be slotted into a card. 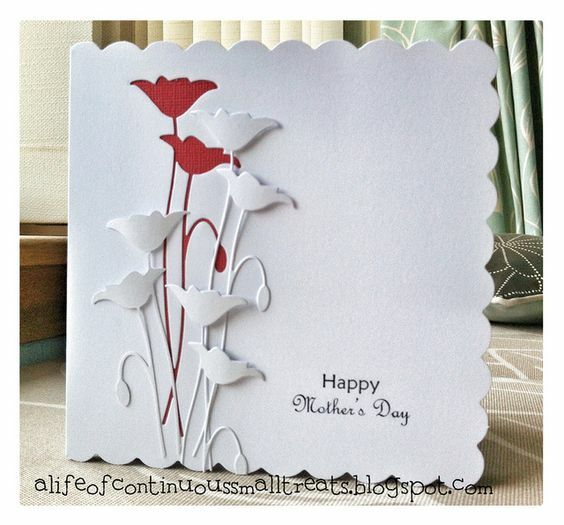 They do a card that the flower is on the fold like that I guess they add a few anchor tab for each row of flowers . Hmmm would that work ??? You are such a great researcher @Crazy_Mr_Zing. I tried a rose of many layers with a few tabs on each layer. Still ended up a torn mess and didn't look anything like a rose by the time I got through with it.